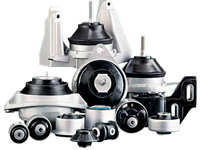 LemfÃ¶rder provides the highest standards in quality and safety through their range of steering, suspension and rubber-to-metal components. 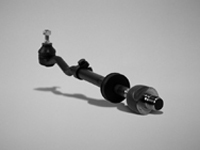 From axial and tie rod joints for the steering system to a vehicles A-arm and suspension links LemfÃ¶rder components are manufactured from intelligent materials to provide the highest safety and reliability standards without sacrifice to cost. LemfÃ¶rder rubber-to-metal link components and assemblies ensure secure and quiet driving by damping the driving motions of a vehicle at critical vibration points. Engine mounts, link bushing and tailshaft vibration dampers all act to give the passengers a smooth ride even when the car is overstrained.